Ride in style with this brand-new folding bike. Refusing to sacrifice style for convenience, this folding bike is painted a distinctive lavender, with matching chestnut-colored seat and handlebars. Tired of struggling to transport a full-size bike to the park? This lightweight folding bike can be folded within 10 seconds for easy storage and transportation. Its intuitive frame- folding function allows the bike’s frame to fold in on itself. 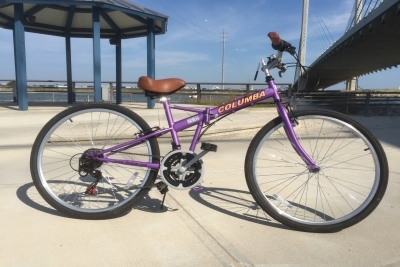 By detaching the quick-release handlebar from the head tube and removing the seat post and saddle from the seat tube and fold pedals, the Columba Lavender can be folded to fit into a cubic space of 38"x14"x29". This bike can fit into the rear trunk of a compact car – for example, the 2000 Honda Civic. 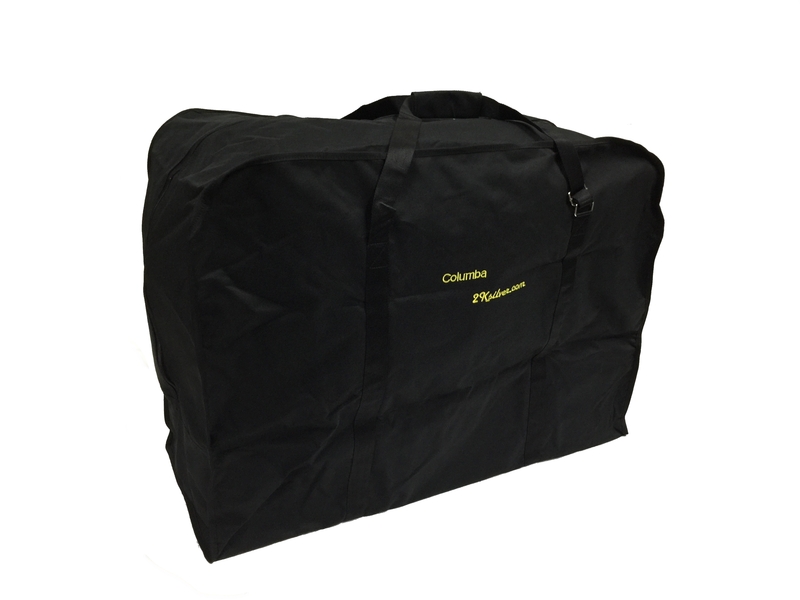 We CANNOT guarantee that the Columba Lavender will fit in all compact cars, since some compact cars may have a very small trunk space. An interested buyer should determine whether their vehicle’s car trunk can accommodate a folding bike before purchasing. Enjoying riding this bike. I appreciate that it can be folde ..